When stalwarts like Late M.F.Hussain and Late Ashok Kumar describe someone as “the epitome of beauty, grace and womanhood”, you know that the lady in discussion has to be a rare phenomenon. 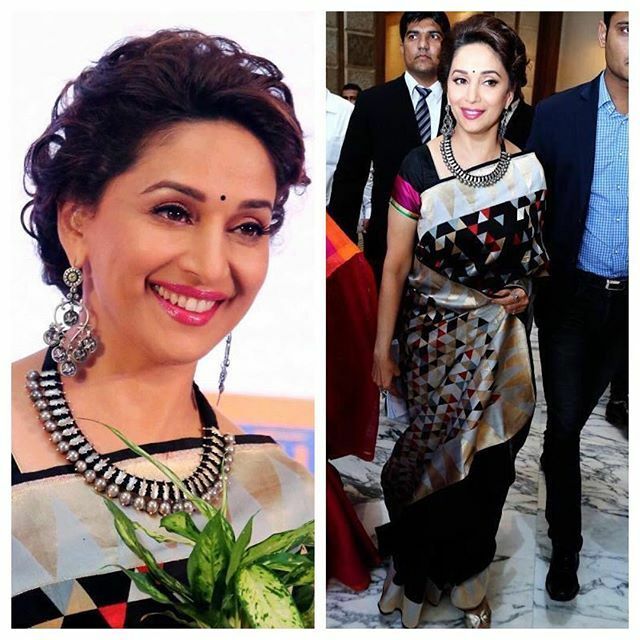 But then Madhuri Dixit has never been ordinary or run-of- the-mill in any aspect. Whether it is her break-the- darkest-clouds illuminating smile, her jaw-dropping dance moves or her affable personality, Madhuri always manages to win you over! 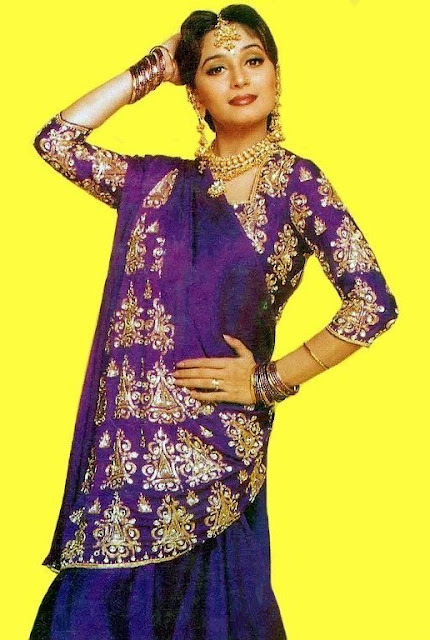 career, was her dressing sense. 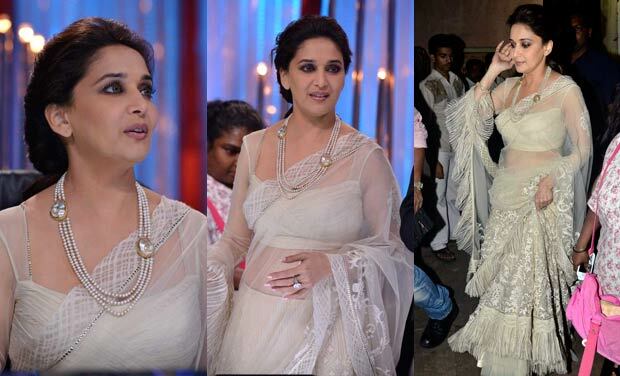 But, according to me, Madhuri could hardly be blamed for some of the fashion faux pas; those were different times! Colourful dresses, curly hair and loud makeup were all the rage! Also, entourage of designers, makeup artists and hairdressers had not yet caught up with Bollywood. 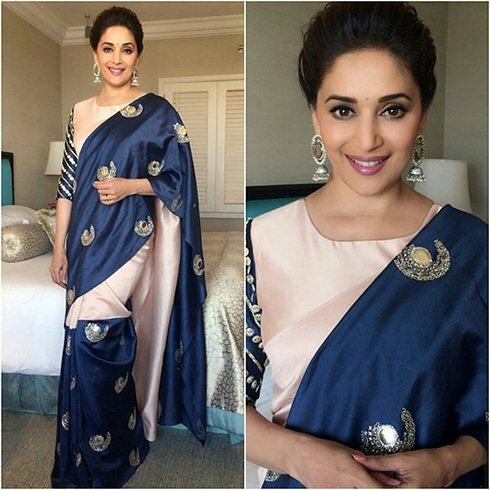 Given these handicaps, I have always believed Madhuri still outshone all her peers with her innocent face and oodles of talent. And in the recent years, she has also proved time and again, that she is a true timeless diva. 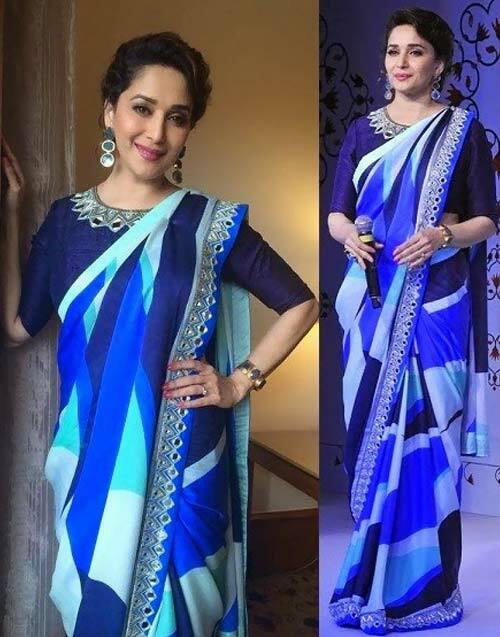 Whether it is her signature anarkali dresses or captivating contemporary sarees, she continues to dazzle generation after generation of male and female fans galore! door (yes it is supposed to be paradoxical)! !